The Union Home Ministry has said that there is no general amnesty to the insurgent outfits in Northeastern states. There are about 35 hills and valley based Meitei, Naga and Kuki underground outfits operating in the state of Manipur. “A total of 23 underground outfits under two conglomerates (United Progressive Front (UPF)-8 and Kuki National Organization (KNO)-15) are under Suspension of Operation with the Government since August, 2008,” Rijijusaid on Wednesday. He said that Suspension of Operation agreements with these groups are valid up toAugust 31, 2018. “Political dialogue with these groups commenced in June, 2016,” he said. Meanwhile, a group of 18 students from Bishnupur district of Manipur called on Rijijuon Thursday. The students have been attending the National Integration Tour, organised by the 42nd Assam Rifles. The tour is being organized from December 14-26, 2017to the National Capital and Agra. 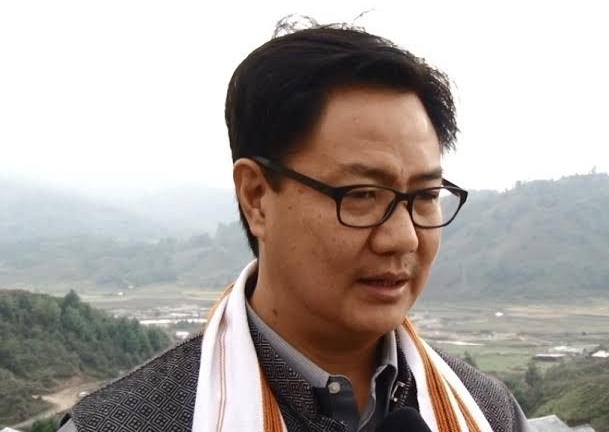 Rijiju complimented the Assam Rifles for organizing the National Integration Tour under the Operation Sadbhavna, giving children from the remote region an opportunity to visit the national capital and other historic cities to discover the grandeur of India. While interacting with the students, Rijiju said the National Integration Tour is a good initiative taken by the Assam Rifles since this is the first visit outside the state for a majority of these students. He called upon the children to share their experiences with family and friends back home. The aim of the National Integration Tour is to promote harmony and awareness. The tour is aimed at integrating the students with the nation and promoting concept of unity in diversity. The students are visiting landmarks like the Taj Mahal, Fatehpur Sikri, forts in Agra and Delhi, Rajghat, India Gate, National Museum, Pragati Maidan and Delhi Metro.